Trolling weight is rigged with 500lb test Momoi mono approx. 18" in length. 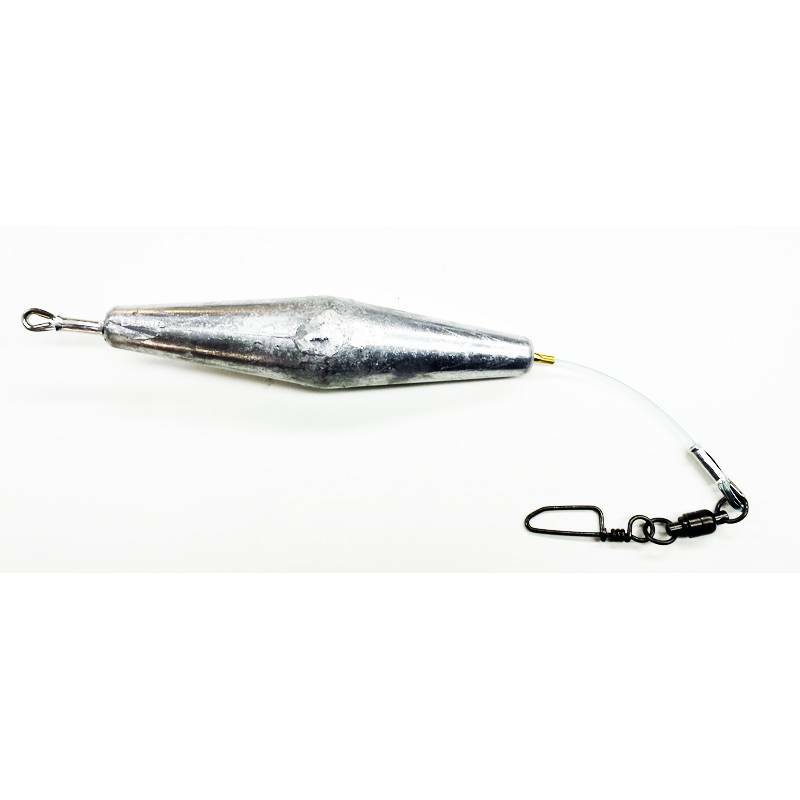 Snap swivel is rated at 450lb test. Stainless thimbles are at each end.